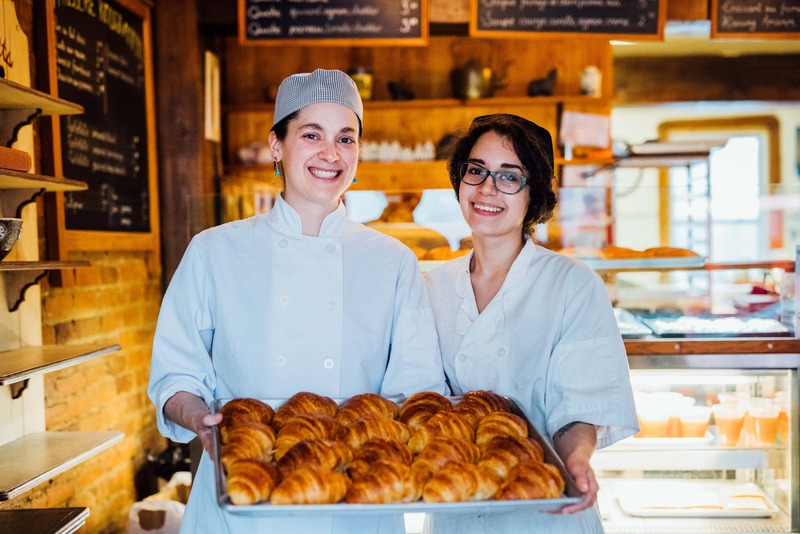 In 2017, the renowned Au Kouign Amann moved a hop, skip and a jump away from their old premises at 322 ave Mont-Royal Est to 316 ave Mont-Royal Est. 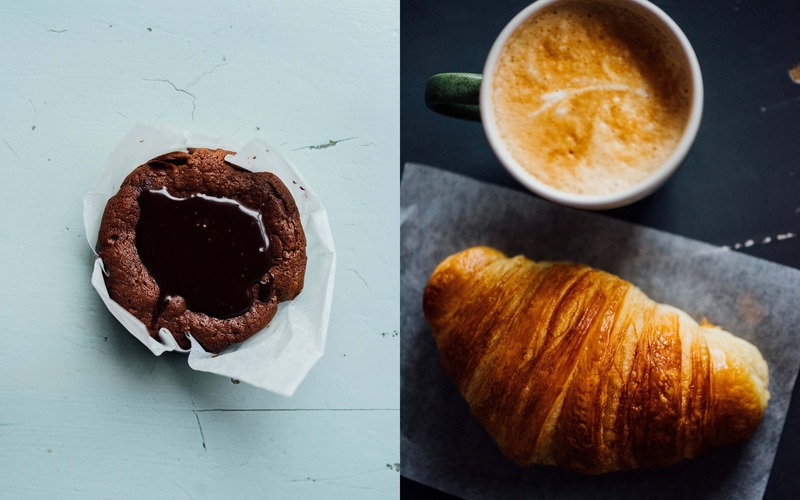 This extra distance surely justifies ordering an extra succulent croissant ! These Breton words kouign(cake) and amann (butter) describe a Brittany regional specialty dating back to the 1860’s made with the most purest and basic ingredients – flour, water, salt, yeast, butter and sugar, that results in a puffed layered delight with a crispy caramelized outside and a mouthwatering inside that literally melts in the mouth. Such a treat! 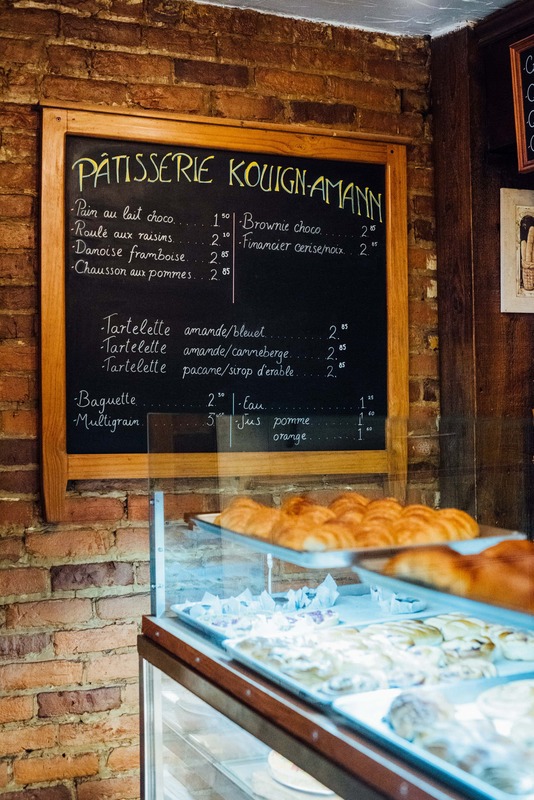 This is their specialty and undoubtedly where the best Kouign Amann is found in Montreal. 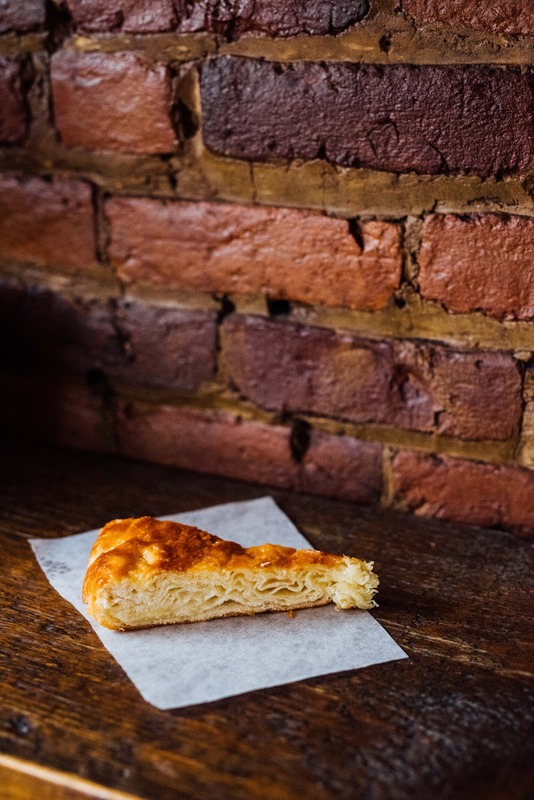 Kouign Amann has been open since the early 1990s and since then, has earned a deserved reputation not only in Montreal but beyond. This landmark Boulangerie-Pâtisserie as it calls itself, was the creation of a French pastry chef Daniel Fourne who arrived in Montreal around 1990, and it is now in the hands of Normandy baker Nicolas Henri. It’s fair to say that the new space is the old space since it has the same furniture and rustic look. « If it ain’t broke, don’t fix it » would apply in this instance. The updates include a ceramic floor, definitely more space and air conditioning (thank you from all of us who felt we too, were being baked in the summer heat !) These touches have added a breath of fresh air to Au Kouign Amann for both the customers and the bakers ! Au Kouign Amann’s delights include more than the Kouign Amann. 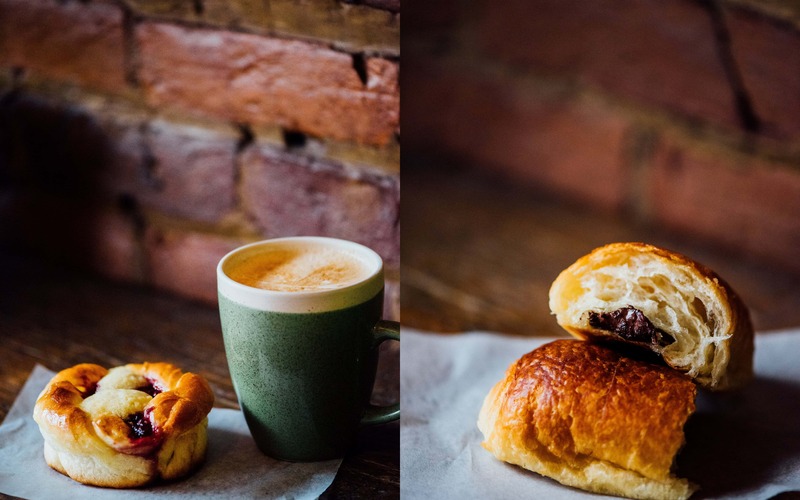 First and foremost are their croissants, and you would be hard pressed to find many would would not rate them as the best in Montreal. Other viennoiseriesthat are right up there with the best, are the pains au chocolat,raspberry or raisin Danish (who besides us also calls these ‘escargots’ ? ), chausson aux pommes, almond croissants, brownies, and financiers. They also makes some amazing tartletteswith almonds, blueberries or cranberries, as well as pecans and maple syrup. 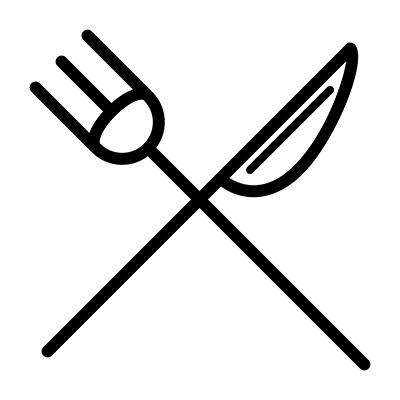 If you are looking for savoury, then choose from such treats as a croque-monsieur, ham & cheese croissant, quiche, soup, and to drink, a fresh juice. 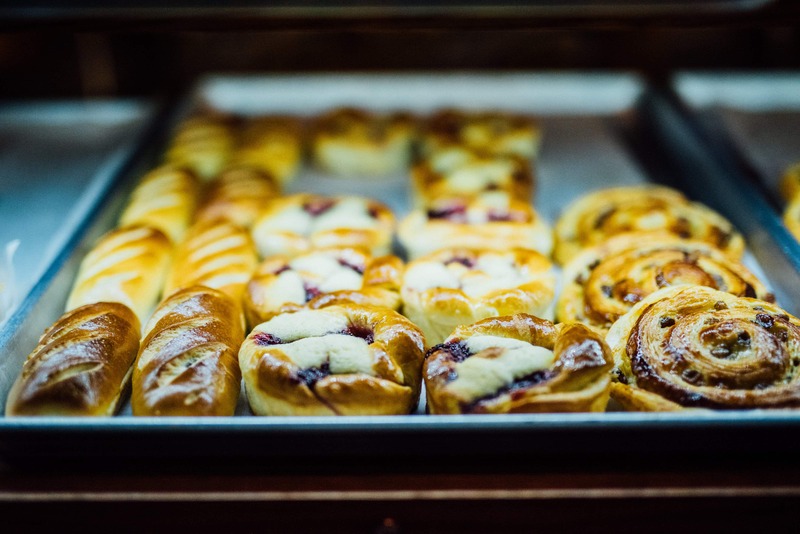 Walking out with a slice of koiugn amman or a croissant that has just come out of the oven is not uncommon — the aromas can’t be mistaken. « We don’t have a lot of counter space so as soon as things are ready, we sell them to our customers. And everything is made here and now. » So customers can expect nothing less than freshness and deliciousness! Despite the cozy premises, it’s always full and many customers just keep coming back so you see a lot of regulars (like us). Everything is pleasant and everyone is friendly. « Families are welcome! We make room for everyone. I love it when there are a lot of people and a bit of chaos, » says Nicolas. « I’m proud to sell quality goods that are made to my standards. » We love that everything is made with great care and passion! We also appreciate the kind and considerate service and strongly recommend a visit to Au Kouign Amann!